Light bulbs have been of great importance to the human environment. A world without light bulbs would be terrible. However, Light bulbs may not seem so fascinating to the 21st century kid because everyone is getting used to seeing amazing inventions. Nonetheless, the light bulb will always stand out as one of the greatest products in history. There was a time where there were no light bulbs. People used candles and lanterns to light their homes. But it feels so good now when you enter a dark room, turn on the switch and in less than a second, the whole place is full of light. But how does a light bulb work? What happens inside the bulb that makes it glow? That is just what this exciting article is all about and I can’t wait to get started. Over the years, different kinds of light bulbs have been made in different shapes and sizes. This means we will be looking distinctly at how each type of light bulb works. The incandescent light bulb is losing its place to new brands like the Compact Fluorescent light bulb. However, it is still heavily patronized in some developing countries around the world. Here is how the incandescent light bulb works. 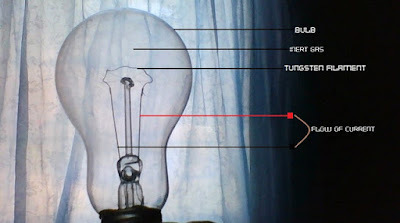 Once you turn on the switch connecting the light bulb to a power source, current begins to flow inside the bulb - through the wires and through the tungsten filament. As the current flows, it excites the atoms in the filament. The electrons in the excited atoms absorb this energy boosting them to a higher level shell since electrons of different energy levels occupy different orbitals. The electrons stay at the next level for only a fraction of a second and quickly return to their original position. As an electron returns to its original position, it releases energy in form of a photon, light photon as in the case of a light bulb. In Tungsten, these vibrations and production of light energy occurs at very high temperature. At high temperature, the tungsten atoms may get excited enough to be detached from it into space, an occurrence known as evaporation. This is where the inert gas (typically Argon) becomes useful. When the tungsten atoms get detached, they can bounce off the Argon atom and return back to the filament to rejoin the solid structure; this reduces the rate at which the tungsten disintegrates. After some time, the filament will eventually disintegrate and break marking the end of that particular light bulb. In incandescent bulbs, light is produced at very high temperature. Tungsten filaments are used in light bulbs because they have a very high melting point. Tungsten has a melting point of 3422 °C => 6192 °F. Other materials would easily melt at this kind of temperature. Also, at this level of heat, combustion would easily occur in the presence of required material but in a light bulb, tungsten is placed in a sealed oxygen-free chamber to prevent combustion. Incandescent bulbs usually last between 700 to 1,000 hours; however, they're not as energy efficient as other light bulbs. In incandescent light bulbs, only about 10 percent of the light produced is in the visible spectrum. A Halogen bulb also known as quartz halogen or tungsten halogen lamp is an advanced form of the Incandescent Light bulb. It also uses a tungsten filament which is enclosed in a small quartz envelope with a Halogen gas. This envelope can't be glass or any weak material because it is so close to the filament which lights at high temperature. Such materials would break on exposure to such amount of heat. The envelope is made of high-silica glass or aluminosilicate. Inside the envelope, as the filament lights at a high temperature, the tungsten begins to evaporate. Read how the Incandescent Light Bulb works (above) to know how the tungsten filament lights. The Halogen gas combines with the evaporating tungsten atoms and when the Halogen cools, it redeposits them back unto the tungsten. This recycling process in the Halogen light bulb enables it to last three times longer than the regular incandescent light bulb. 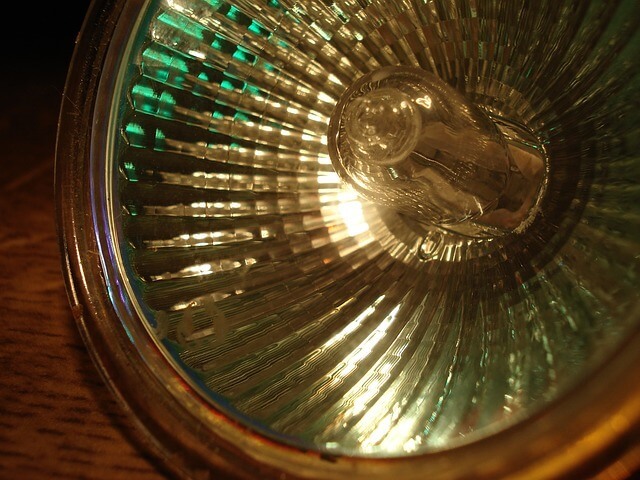 The halogen bulb can produce more light and run at a higher temperature because of the quartz envelope. It can run for about 3000 hours. The quartz glass in Halogen Bulbs should not be touched with bare hands. If you touch the quartz glass and then light it, the bulb will get damaged and may even explode. It can only be handled at the base or placed inside a glass casing. If touched by mistake, the envelope should be cleaned with alcohol before usage. You might want to consider breaking your new fluorescent lamp to see how it works, probably while it’s switched on. 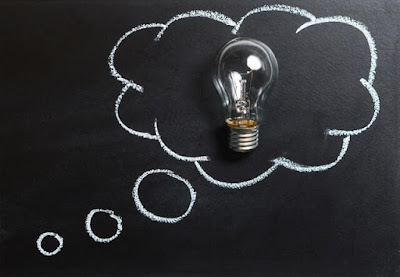 Light bulbs are of different types but let’s see how the fluorescent lamp works and what makes it different, more efficient than other types of light bulbs. 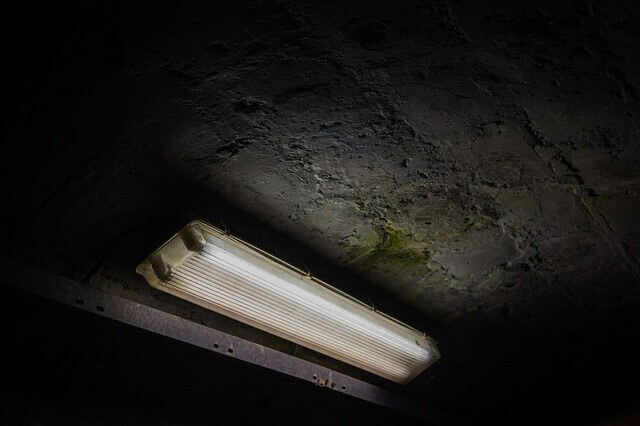 A typical fluorescent lamp produces white light and makes some buzzing sound while on. What’s a fluorescent lamp made of? When a lamp is turned on, the electrical circuits supply voltage to the electrodes (one at each end). The electrode in this case is a tungsten filament connected to the contact pins. The filaments heat up when voltage is passed. Since they are coated with a special material that gives off electrons, the electrons begin to migrate instantly. These electrons move from one end of the lamp to the other, through the inert gas (inside your fluorescent light bulb). As the electrons surge through the inert gas in the lamp, an arc is created. The arc made with the inert gas makes just enough heat to change the mercury in the lamp from liquid to gas. As the mercury changes to gas, it moves straight into the arc stream (inert gas arc with moving electrons). Something happens in this arc stream that produces light. Since the electrons in this arc are constantly in motion, they collide with the mercury atoms. The collisions excite the atoms causing electrons (in the atoms) to move to higher energy levels. The electrons stay in the new level for just a tiny fraction of a second and then return to their original energy level. As these electrons drop back to their original energy level, they produce light photons. Light photons emitted here is in the ultraviolet wavelength range. The human eye, though, does not register ultraviolet photons so this light needs to be converted to visible light. This is where the phosphor coating on the glass tube comes in; when the ultraviolet light strikes the phosphor, the phosphor glows with visible white light. Hi would you mind lestting me know which webhost you're utilizing? Electronicsdiary.com is hosted on blogger and the domain name is on Namecheap. And next time, use the contact form for questions like this.